With National Signing Day 2.0 just about three weeks away, Syracuse is not wasting any time gearing up for the 2019 season and beyond. 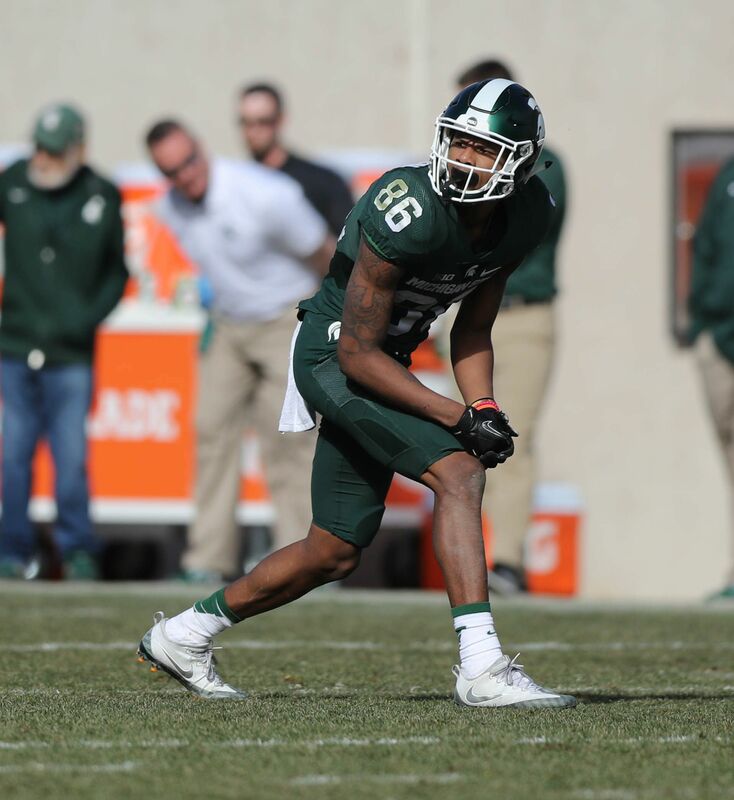 Former Michigan State wide receiver Trishton Jackson announced on Twitter that he is transferring to SU. Jackson is a former top 250 recruit in the Class of 2016 and was a four star commit to the Spartans. The Michigan native never saw the field very often in his two years in East Lansing. The sophomore logged just 17 catches to go along with 232 yards and one touchdown during his two years at Michigan State. That being said, since Jackson only logged two seasons at MSU, he must sit out a season due to transfer rules. By the time Jackson takes the field in 2019, he will have a full year of practice to adapt to the Orange’s up-tempo system. Also, the talent level at the position will be very potent with Jackson lining up alongside the likes of Ed Hendrix and the vast amount of wideout commits in the Orange’s Class of 2017. But for the time being, SU is leaving a large void at the position with the graduation of All-American Steve Ishmael and All-ACC honoree Erv Philips. By the time Jackson takes the field, he will likely be paired up with another four-star at quarterback in Tommy DeVito and Qadir White on the offensive line. Dino Babers has really bolstered the offense on the recruiting front, with the potential for more on the way this February in four-star running back Mychale Salahuddin and a possible return of former center commit Tyrone Sampson. And if you need any more reason to be excited, remember the last Big Ten wide receiver to transfer to the Orange? He turned into an All-American.